Sightseeing in the Czech Republic gets you the very best of classical Europe combined with the country's undeniable charm. Most visitors spend their time almost exclusively in Prague, enjoying the beauty of the medieval buildings and evocative scenery of the river-front location, while sampling the cultural delights of the dynamic live music and theatre scene. Attractions in this beautiful city include Charles Bridge (the most photographed feature of the city), the Old Town Square, St Vitus Cathedral, and numerous incredible buildings in the Castle District on the hill above Prague. 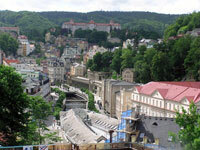 Beyond Prague is a host of delights often neglected by visitors. These include world-class attractions such as picturesque Cesky Krumlov, the fascinating ossuary of Kutna Hora, and Karlsbad, the queen of the Czech Republic's many spa resort towns. 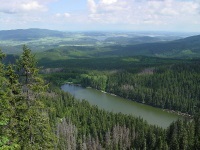 The Czech Republic also boasts some wonderful hiking trails and scenic areas, which make it the ideal destination for those who enjoy travelling on foot. The countryside is dotted with numerous castles, keeps and medieval villages. The most popular time to visit is over the peak summer months of July and August, although Prague in particular can get very crowded. Spring - April to June - has mild weather and warm days and is probably the ideal time to visit.